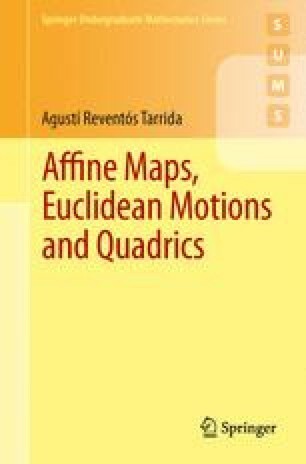 In this chapter we introduce affinities, the most natural maps to consider between affine spaces. The definition of affine map, or affinity, is so natural that we shall see that affinities are simply those maps that take collinear points to collinear points. We shall also see that there are enough affine maps. In fact, in an affine space of dimension n, given two subsets of n+1 points, there exists an affine map such that takes the points of the first subset to the points of the second. In the Exercises at the end of the chapter we verify the axioms 4 and 5 of Affine Geometry given in the Introduction.